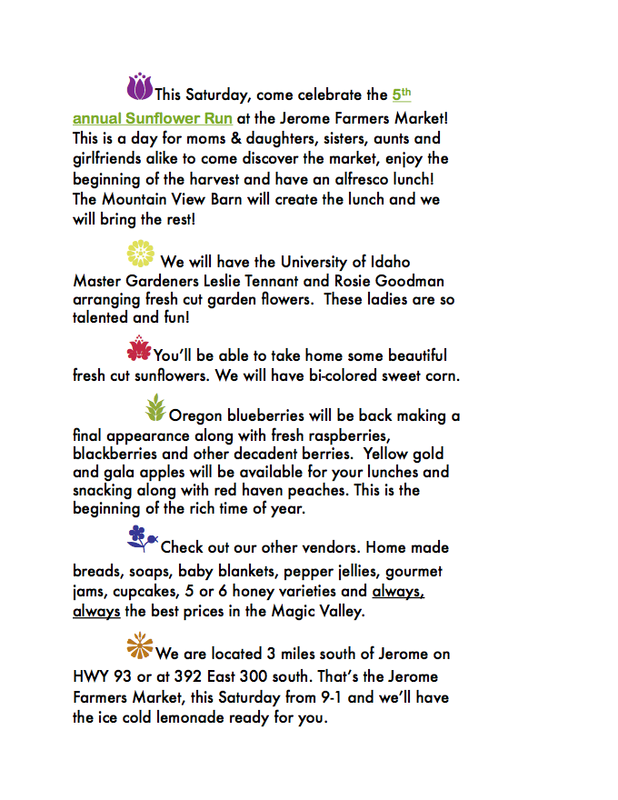 Jerome Farmers Market: August at the Market! The Magical Month of August Has Arrived! Here are some fun things to look forward to at the Market! Come by and take a look at all the wonderful things our vendors and the market has to offer! Market Recipes, Fresh Homemade Salsa! How to cook your fresh veggies & Market recipes! Sunflower Run at the market!